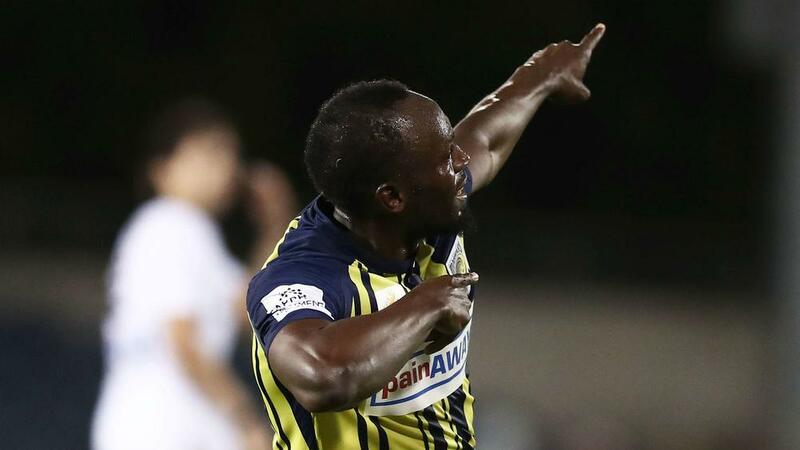 Usain Bolt was delighted to score his first goals for Central Coast Mariners and hopes to earn a contract after starring in Friday's 4-0 win over Macarthur South West United. The eight-time Olympic champion was handed a start in Sydney and netted a second-half double, including a neat left-footed finish to open his account, as he staked a claim for a permanent deal. His performances while on trial with the A-League club, whose season begins a week on Sunday, have received mixed reviews but the Jamaican believes he has made huge improvements to his game. Reflecting on his display after being substituted late on, Bolt told Fox Sports: "It was my first proper game with the first team. I'm just happy I got the chance and I'm proud of myself. "It was a big deal. I think scoring a goal in your first proper match, it's a big deal. Your first start and scoring two goals, it was a good feeling. "This is what I worked towards, I tried to improve myself, I tried to get better, and I'm on the way to doing that." Bolt had missed several chances before his first goal in the 55th minute and he revealed that some half-time words of wisdom from coach Mike Mulvey had helped him stay on track. "The coach said to me, 'Listen, you'll get chances, you'll miss some, you'll score some. Keep your head up and try for the next one'," said the 32-year-old. "The more you play, the more you learn, and you get more accustomed to the game. I'm learning a lot, I've picked up a lot of things. "I've improved in every area. I think my touch is a little bit better, my vision needs to improve a little bit more. I think running off the ball is where I've improved the most, I can see and move into space. "But there's a lot more to learn. I've just got to continue learning and getting better." Questioned on the next steps in his bid to become a professional footballer, Bolt said: "Now the discussion comes up because the season starts next week. "We have to sit down with the coach, the management side and figure out how we go forward, what's the plan, if they're going to sign me or I need to do more. So I'm just waiting on that. "I'm keen, that's why I'm here – to play my best and to try to get into the team." After being withdrawn to a warm ovation, Bolt spent time signing autographs and taking selfies with supporters.